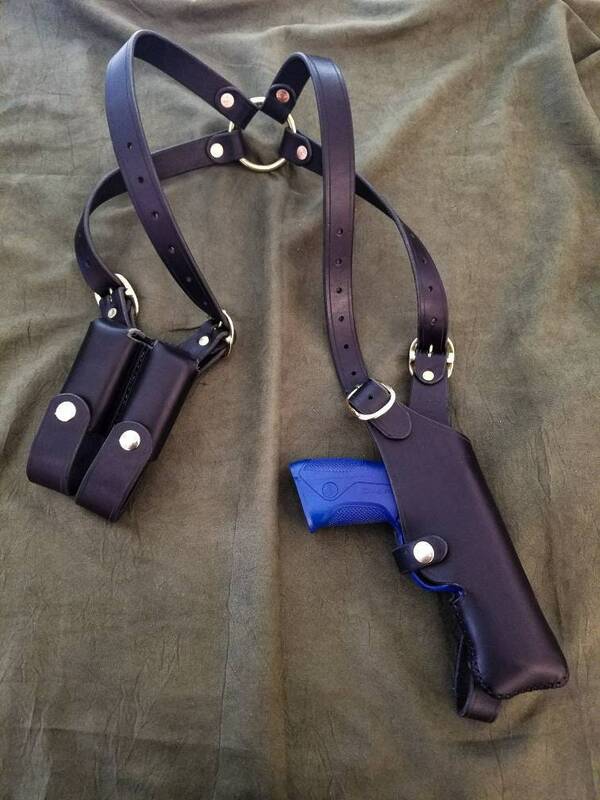 This listing is for a handmade leather shoulder holster for a Beretta Px4 Storm full size pistol. 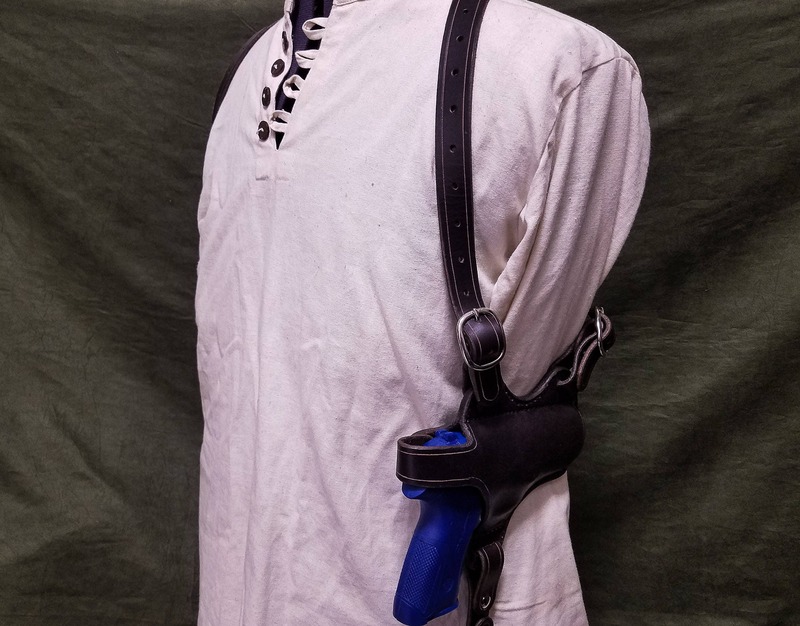 The holster features shoulder straps that are adjustable via 4 buckles. 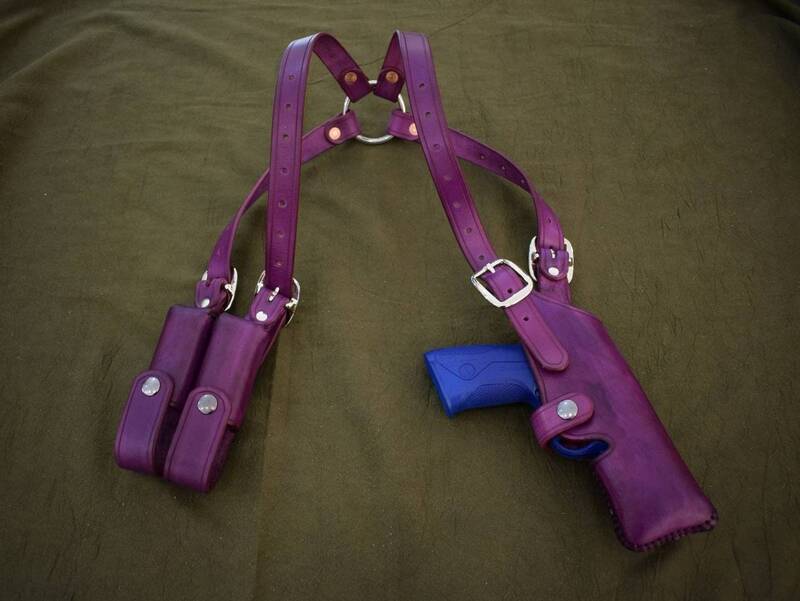 It features a holster for the gun, loop to attach holster to your belt and a double mag pouch. 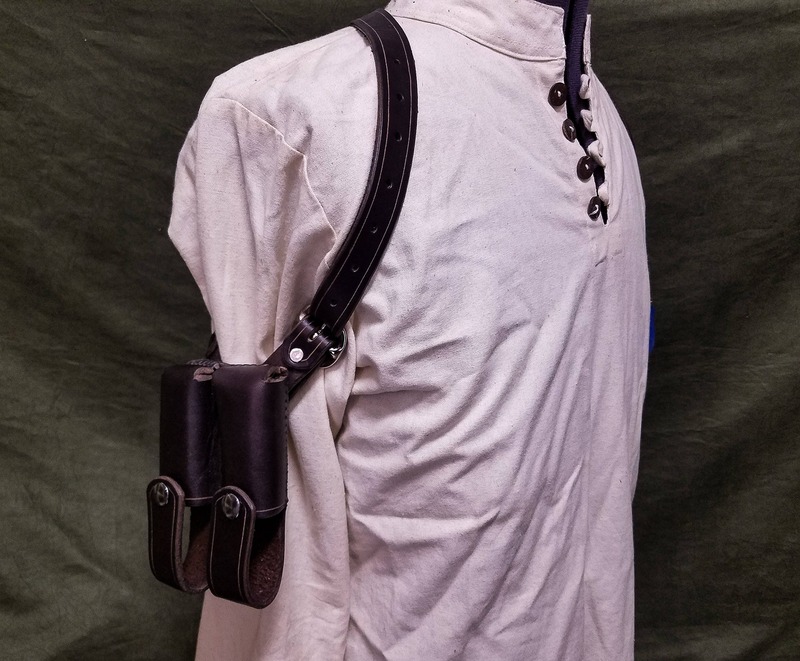 The holster and mag pouch are made of 8-10 ounce latigo cowhide, and are hand sewn together and wet molded to ensure proper fit. The holster and mag pouch are both secured via snap. 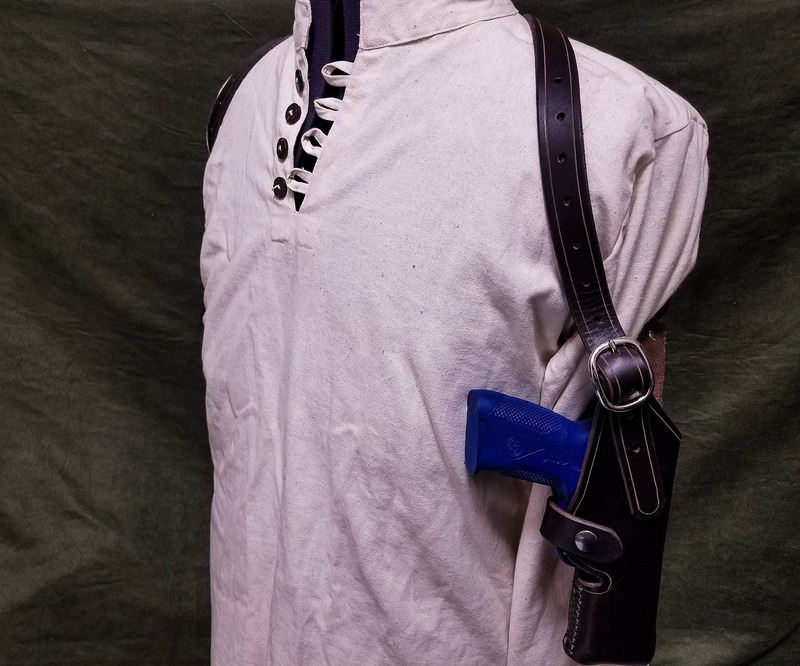 The holster can be ordered in vertical or horizontal orientation , Horizontal is easier to draw, but is less concealable. 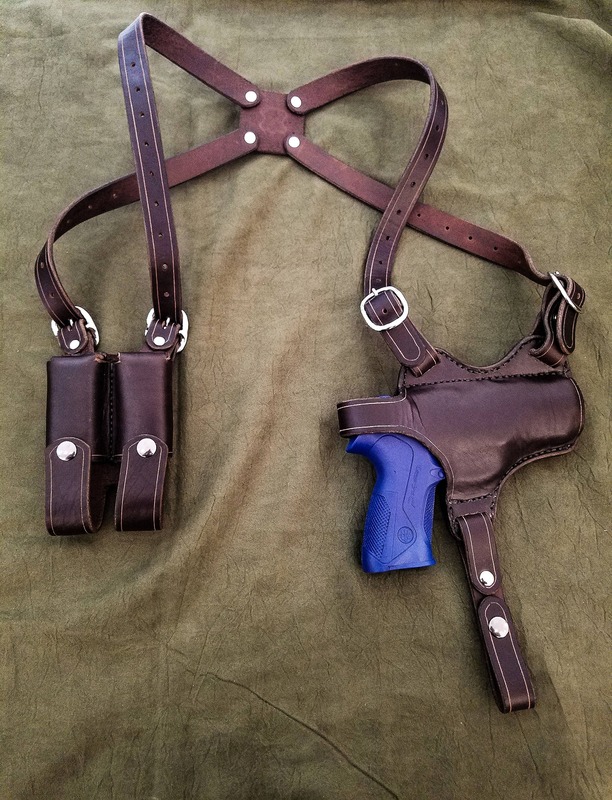 The holster is designed with Right Handed shooters in mind, but can be made left handed, just let me know in the comments when ordering. If your gun has any accessories or other difference in design from the standard Px4, let me know and I can make adjustments accordingly. As always, customization is available. Feel free to message me if you have any questions.